Tboss during her media tour addressed some of the controversial topics that swirled on social media during her stay at the Big Brother Nigeria house. In an interview with Beat FM, Big Brother contestant, Tboss opened up on why she bared her breasts, her failure to recite the National Anthem, and the viral clip of her saying she would spend the N25m in a week if she won it. “The Big Brother house was a place where I was myself. At home I don’t shower with my clothes on,” said the ex housemate whose real name is Tokunbo Idowu, adding that she stripped to take her bath because that’s a given. 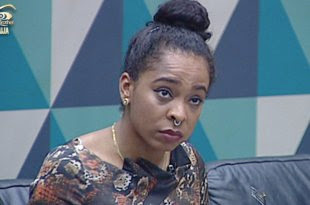 Also, the housemate clarified, again, her comments about how she would spend the N25m if she won. Recall that the initial clip was deceptively edited, but the actual footage never went viral to help counter the first wrong impression people had of her after watching the first clip. Hence, the ex housemate officially addressed it. “I said I have so many projects on ground that I need [the money for]. I don’t have a house. I don’t have a car and I would like to get myself a car. And I have responsibilities. I have 5 godchildren. I have siblings,” she said. To close off her interview, TBoss voiced what many avid fans feel about her – why many people do not like her. “I am always misunderstood. I would sneeze and it would be taken the wrong way. If I burp, [same],” she concluded.